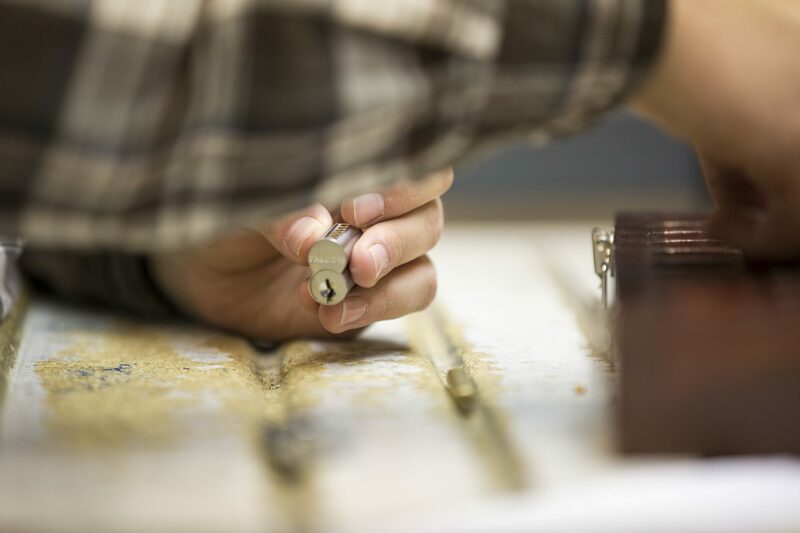 The experienced professionals found in our Locksmith Department will help maintain or upgrade your facility to a patented high-security key system such as Primus, ASSA, Signature or Medeco. These systems prevent duplication, offer multiple levels of protection and greatly enhance facility security. Locksmiths capable of re-keying individual locks or entire facilities. Installation of a key control system makes it virtually impossible for unauthorized personnel to duplicate keys. Complete on-site Lock Shop dedicated to ensuring your facility is secure the moment installation is completed. Featuring top security manufacturers including Primus, ASSA, Signature and Medeco. A good security strategy slows the bad guys down, so that the risk of detection becomes too great and they give up and leave. Locks are your first line of defense and a high-security key system not only controls access but also is pick resistant. We also provide high-tech access control technology including CCTV, elevator control, intercom systems, and intrusion detection hardware.